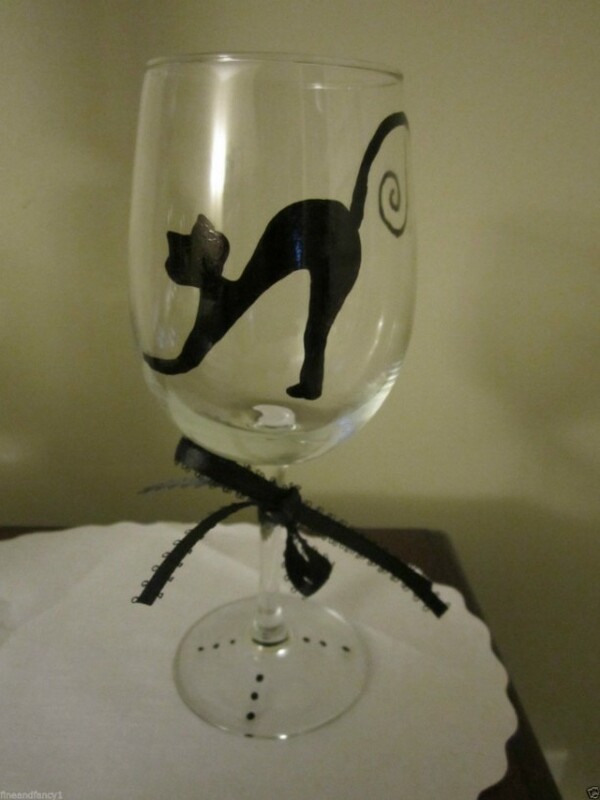 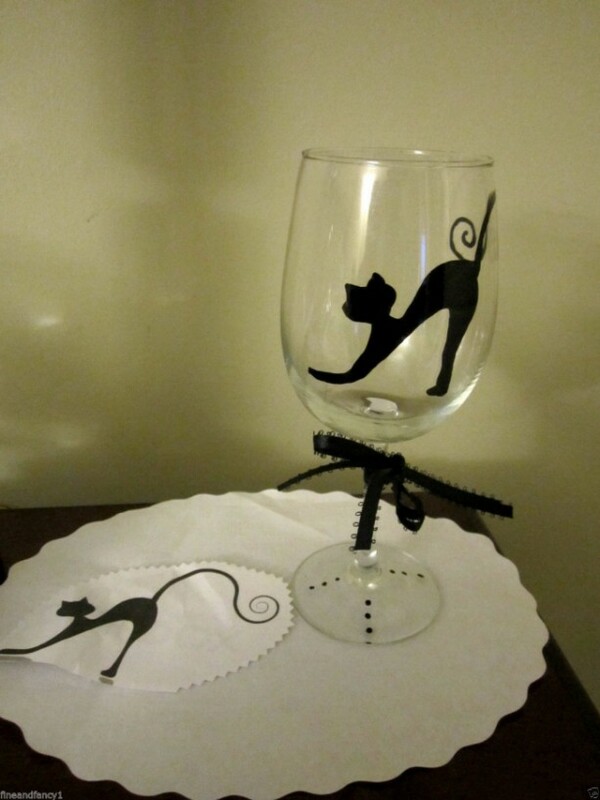 Black Cat Hand Painted Wine Glass Cat Silhouette - Long Tail 12 oz. 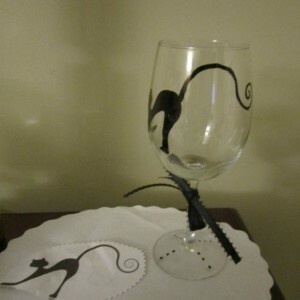 Long Curly Tail Wraps around the Glass Color: Black Decorated with Ribbons Measures approx: 7-1/2" High My Wine Glasses are all Hand Painted - there will be no 2 alike. 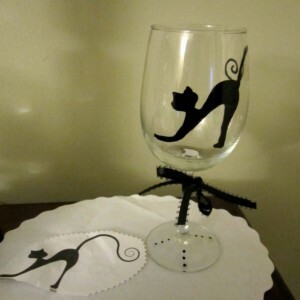 The harsh chemicals and high temperatures of a dishwasher can damage the paint. We recommend gentle hand washing. 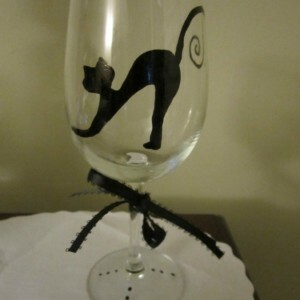 Hand-painted glassware is artwork and is therefore imperfect by nature. 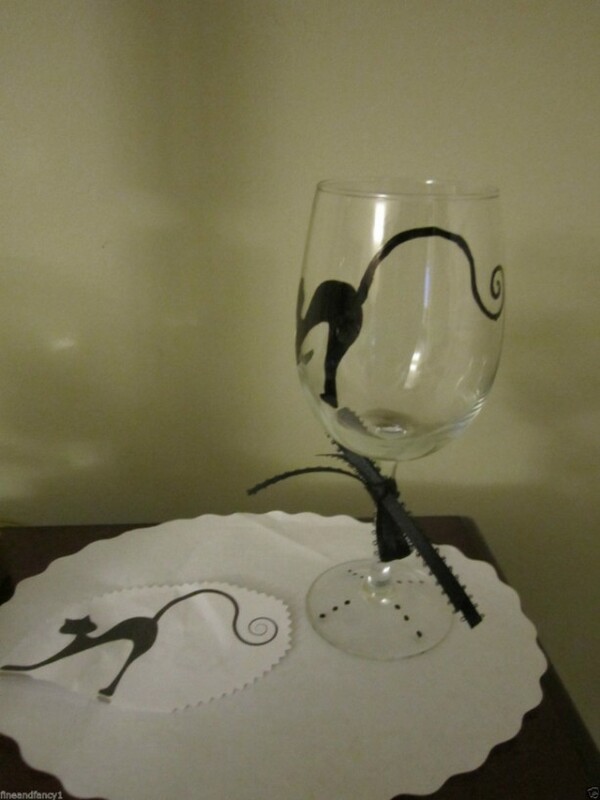 These variations and imperfections are part of what makes this artwork interesting and unique.